Lion Bill Kunerth snapped this shot, capturing several of the Lions work crew. Thanks to the many members of the community who bought tickets and supported this important event! At the end of the day, it was another very successful day. Total income was $1709.00, with $412.81 in expenses (including advertising) with a net of $1296.19. Thanks again to all who helped make it a success! 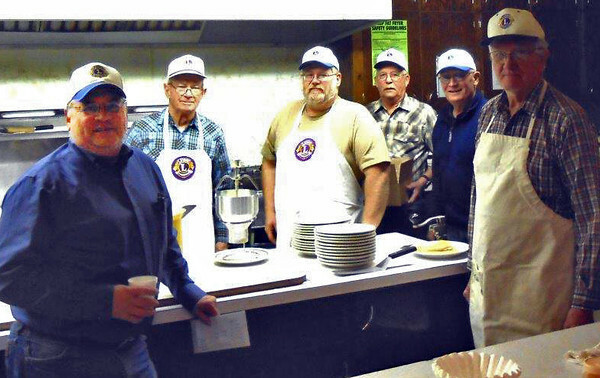 Return to our Belle Fourche Lions web site.